We understand that your extension is a big investment and will have a big impact on the way you use your home. So, deciding on the perfect home improvement for you is an important decision. When making these decisions it is important to consider the purpose of your new room, will it be a new gym, dining room, playroom? No matter how you decide to use your extension, you will want it to be perfect, accessible and comfortable all year round. 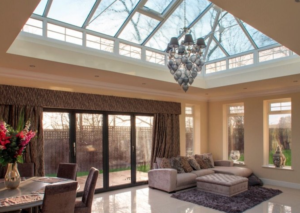 With our energy efficient double-glazing and variety of roofing options, your new conservatory or orangery won’t be too hot in the summer or too cold in the winter. So whether your extension is a place to host guests or somewhere for your kids to play, with our winning combination your new room will be a great place to entertain family and friends all year round. It can be overwhelming deciding on a conservatory when there are so many to choose from, each offering something slightly different. But the size of your home, garden and budget will help determine the right conservatory design for you. 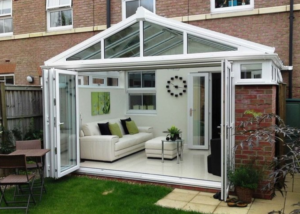 Lean-to conservatories are a highly popular choice and are one of the most cost-effective. If you’re looking for a diverse conservatory that can adjust to suit a range of properties with different height restrictions, lean-to conservatories are perfect for you. 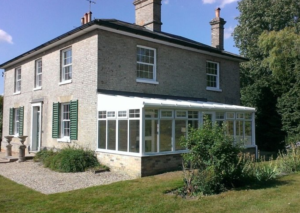 Victorian conservatories feature traditional designs with the curved facet bay, which is available in either three or five parts. This means they fit into properties with limited space. 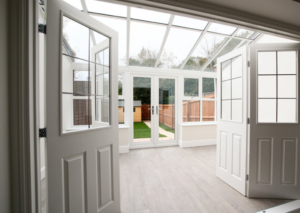 Edwardian conservatories suit more contemporary homes and create a bright and airy atmosphere as they offer modern straight lines and allow you to maximise your floor space. These conservatories are beautiful for new dining or living rooms. Gable-Ended conservatories provide high angled roofs that let in plenty of sunlight to create a lovely space for you and your family to enjoy. These are perfect if you have a larger property as the high roofs can mirror the height of your current property. 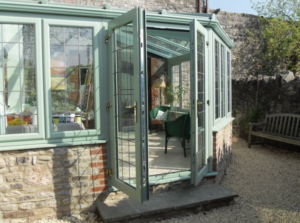 Orangeries can often be confused with conservatories as they both contain a large number of double-glazed windows. However, orangeries offer an increased amount of privacy as more brickwork is used in their design. A highly luxurious and bespoke design, they allow plenty of natural sunlight into your home meaning that they are a perfect choice for all styles of property. The use of brickwork will make your orangery feel like an extension whilst the glass will make it feel as light and airy as a conservatory – a perfect combination. Both conservatories and orangeries create a welcoming ambience you can enjoy throughout the year. They create a fantastic space overlooking your garden in which you can entertain friends or relax and enjoy your favourite book. For more details on our home improvement options, get in touch with your local installer.